Niantic has today updated Pokemon Go to version 1.3, bringing several improvements, tweaks and fixes to the game. The main addition is a dialogue option for users who may be playing while driving, while the “Nearby” feature has been transformed into “Sightings” as the developer continues work on testing a new tracking system. If players are going over a certain speed, the game will now warn them that they’re moving too fast. To continue playing, users have to click a button that tells the app that they’re a passenger and not a driver. Throws have also seen improvements, with the curve ball throw receiving accuracy adjustments while the “Nice,” “Great” and “Excellent” throws now receive the appropriate experience from the game. The game’s “Nearby” feature has also been changed into “Sightings.” The new feature, which Niantic says it is testing with a subset of users, points out Pokemon that have been sighted in the area. Behind illustrations of nearby Pokemon are illustrations of grass. Unlike before, tapping on a singular Pokemon does focus on a single Pokemon. 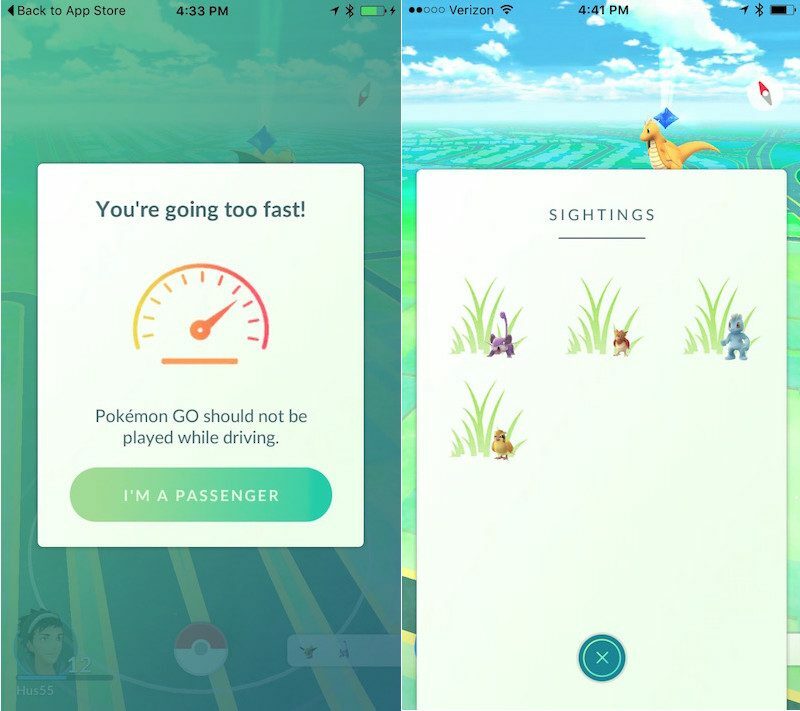 In last week’s Pokemon Go update, Niantic disabled the vague and difficult-to-understand “three steps” tracking mechanic. Other minor changes and fixes include art for the Mystic, Instinct and Valor team leaders , the ability to change a user’s nickname, a fix for achievements that were showing incorrect medal icons and a fixed and re-enabled battery saver mode.